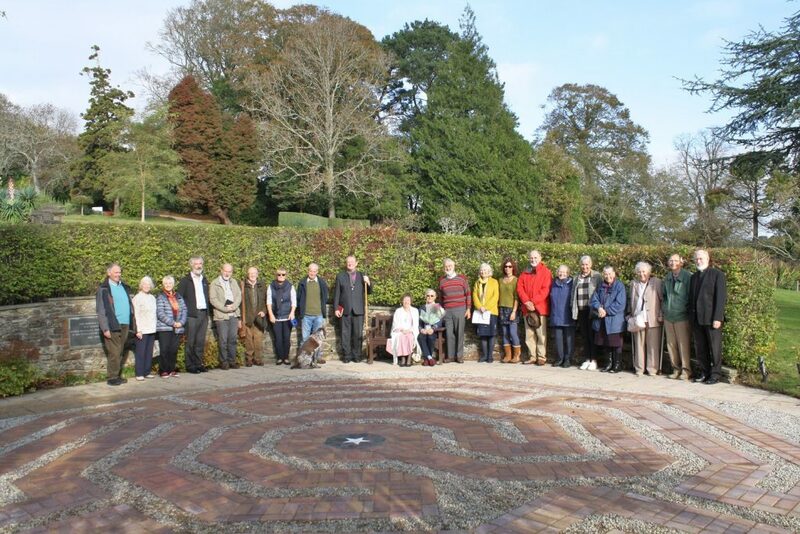 Our new prayer labyrinth in the grounds of the House was officially opened on Thursday 25th October in a special blessing ceremony led by The Right Reverend Chris Goldsmith, Bishop of St Germans. 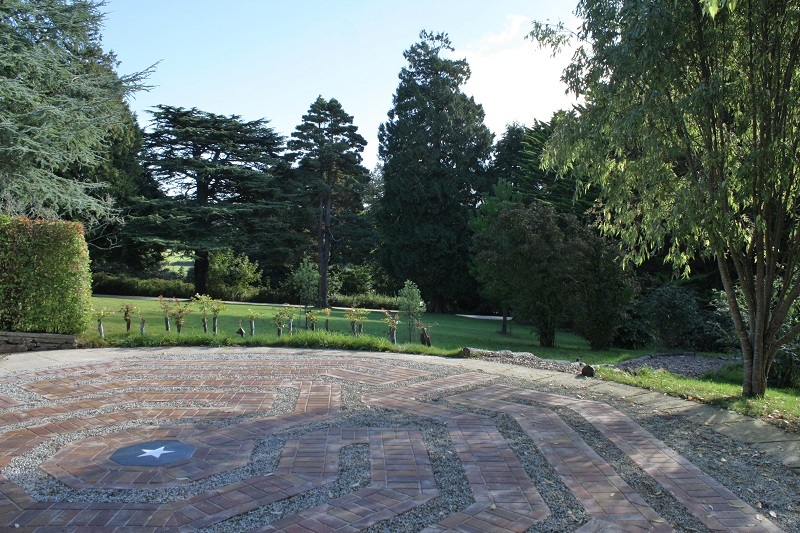 The labyrinth is octagonal in design with a star at the centre, a symbol that recalls the Community of the Epiphany, the order of Anglican nuns who lived at the House until 2003. Janette Mullet, House Director, said ‘We hope that the labyrinth will be a fitting tribute and celebration of all that the Community of the Epiphany stood for. The labyrinth is open to all, and we hope that it will be a place of spiritual connection and insight for those who walk it’s path’. 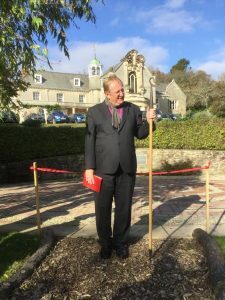 During the blessing service, Bishop Chris reminded those present of the special nature of a journey through a labyrinth and connected it to the wider theme of pilgrimage. The twists and turns of the path offer opportunities to reflect on the path that life takes; the stillness in the centre a place of offering to God and receiving from him; the journey out from the centre a time to focus on looking forward. The labyrinth, a single winding path leading to a central point, is an ancient tradition found in many different cultures and has been been used for prayer by the Christian church for more than a thousand years. One of the most famous labyrinths today is the 13th century labyrinth in the cathedral of Chartres, France. 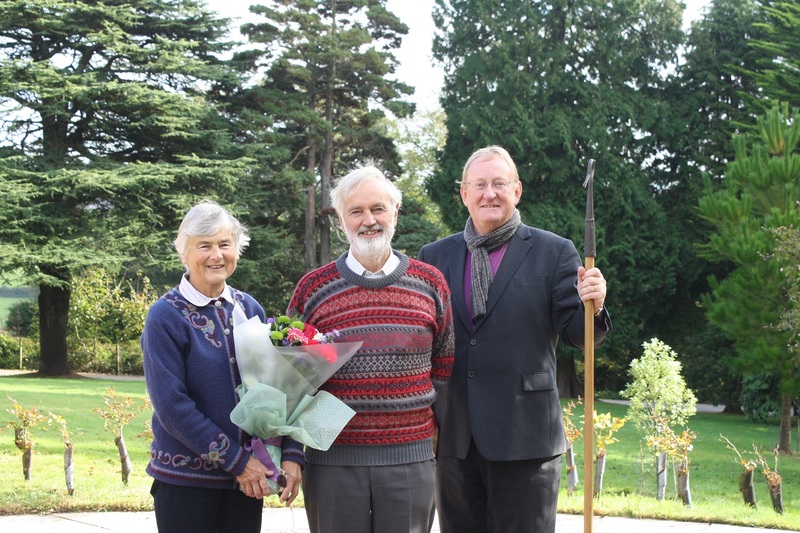 The labyrinth was installed by David and Anthea Lovelock, two of our wonderful team of volunteers, ably assisted by our gardener and handyman Michael Harbage. The star design in the centre was made by Mark Higman, a long-standing friend of the House and husband to our Housekeeper, Maria. The labyrinth is outdoors in the grounds of Epiphany House. Prayer sheets are available to borrow from the House during opening hours. There is no need to book. Copyright © 2019 Epiphany House. Powered by WordPress. Theme: Accelerate by ThemeGrill.